Hi guys! I hope you are all doing well! 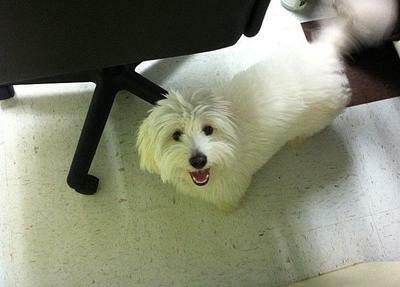 We have noticed that our Coton (Bode) seems to get bored during the day. We take him on multiple long walks per day and he still seems to get himself into trouble. So we have decided to enroll Bode in dog training again. We are going back and forth between agility training and therapy dog training and were wondering if any of you have tried either training sessions and what you thought/recommended. 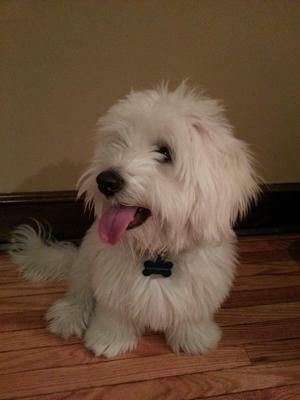 Our Coton Bode is a 1 and 1/2 years old and just constantly filled with energy. Looking forward to reading what you all think! Actually I think both r Good for active minded dogs. U do not have to travel in Agility if u don't want to. Do it just for fun. Title him when opportunity presents itself & if u work alot & afraid u can't do it just 4 fun & stay in both as long as u can afford. If the cost of both is hard pick the one u like best & When u get a chance since you've started both just do fun runs. Your dog will even enjoy the local dog park. Walks, dog park, playing in back yard all r cost effective & exercise is grt 8 4 an active dog. In my opinion, especially for a youngster like Bode, full of energy, he probably would love the Agility training. As his owner, you or another person would have to also have the energy to participate with your dog. It's a lot of fun for your dog and you. It's my understanding, a Therapy dog is one who is trained to be calm and submissive, they are brought to visit the sick and infirm and must be more of a passive personality and accept touch and a lot of petting from all kinds of people and manner of touch, of course not show any signs of aggression or trying to bite, even playfully.Therapy dogs are not accepted as a Service Dog. Third, as a Service Dog (usually for medically prescribed emotional assistance or non physical assistance) the training is about being generally well trained,of course toilet trained, good behavior, and strict attention to the owner and commands. They have to learn not to be distracted and to ignore other animals.This is my own knowledge, you might want to check with professional Trainers about the different programs and requirements. A lot of information is on the internet. I am considering agility training as well. Can someone tell me the time requirements involved with this? How much time must you dedicate per day and per week to help you dog succeed? Has anyone had any setbacks or have you been unable to teach your Coton agility?